We always have this mattress in stock. We ship this mattress with in one business day. This mattress is designed to keep your body straight while it contours to your body. It will also provide you with excellent blood circulation which will increase comfort and reduces tossing & turning. It has about 3-4 seconds of movement. We rate it at 90% motionless. 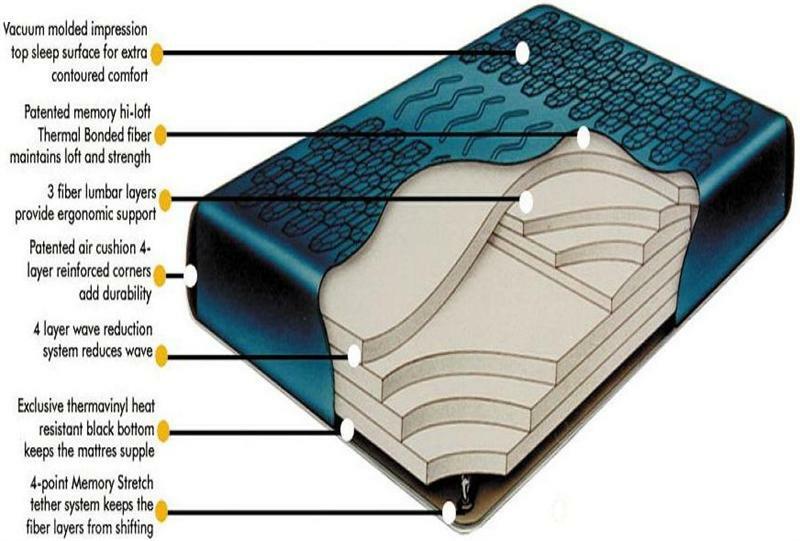 *Vacuum molded impression top sleep surface. 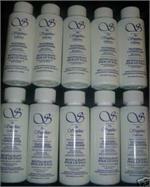 Increases Comforts and makes mattress more breathable. *Patented memory hi-loft Thermal Bonded fiber. This Fiber will contour to your body and reduce movement. 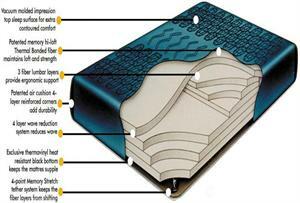 *Patented air cushion 4-layer reinforced corners. Heavy Duty corners for years of reliable service. *Exclusive Thermavinyl heat resistant black bottom. This will Extend the life of the mattress. 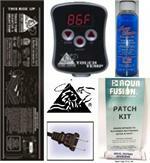 *4-Point Memory Stretch tether system. This holds the fiber in place and helps prevent internals from shifting when draning. *4 layer fiber wave reduction system. Reduces movement and provides support. *3 layer ergonomically designed lumbar support. This will contour to your body while providing mid body support from the shoulder area down to the hip area. Lumbar support is a very important part of a good night sleep so your body sinks into the mattress more level. It does all that while reducing movement even further. *5 year Full Warranty, w/ 12 years prorated. 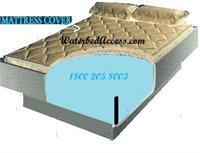 This mattress comes with very good warranty through us or manufacture. *Just so you can compare to our other mattresses. 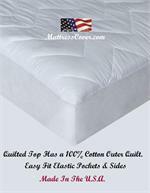 *Full motion mattress has 15-20 seconds of movement. *Semi Motion Mattress has 8-9 seconds of movement. *80% Motionless mattress has 6-6 seconds of movement. If you are located outside the 48 cont. U.S. States. SLEEP LIKE ROYALTY FOR LESS.